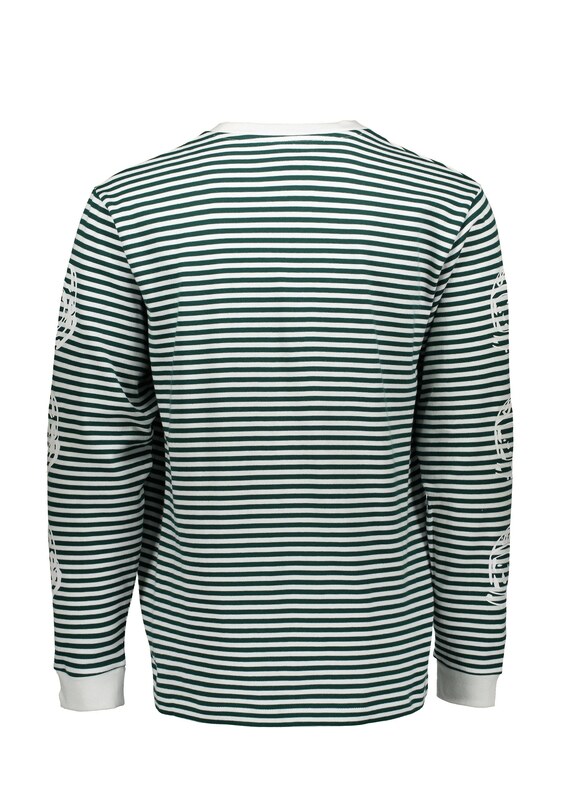 With their classic Astronaut Helmet logo featuring on the sleeves the Billionaire Boys Club Small Stripe Long Sleeve Tee is a regular cut, soft cotton t-shirt with a sartorial stripe running throughout. 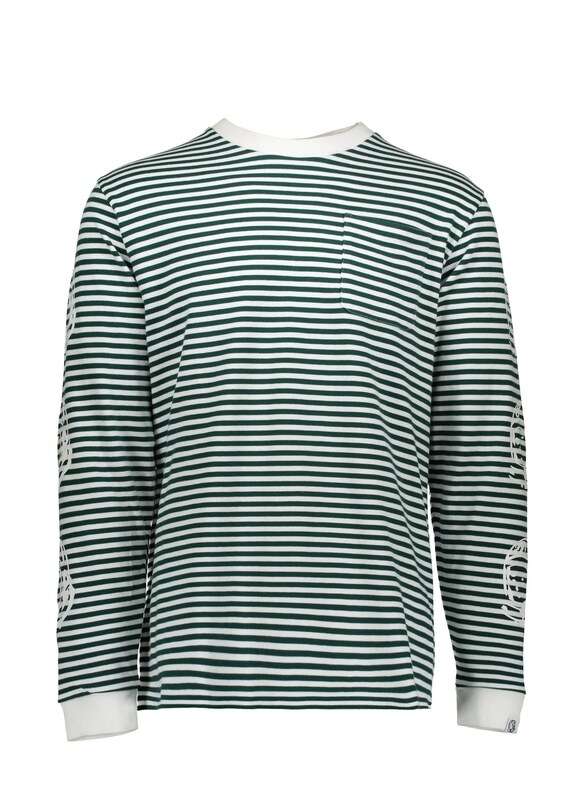 A single chest pocket and brand tab on the sleeve cuff complete this versatile silhouette from creative directors Pharrell Williams and Nigo is a must-have wardrobe essential. 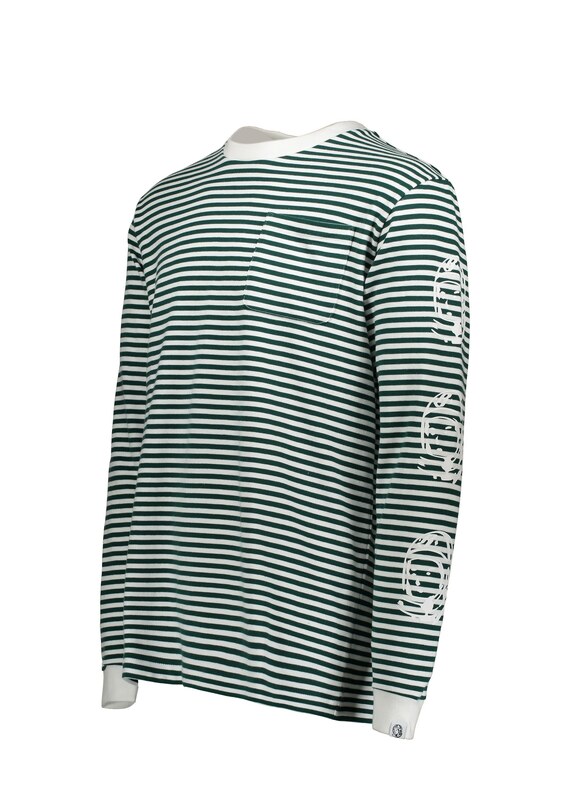 Available here in a low key Green/White combination.